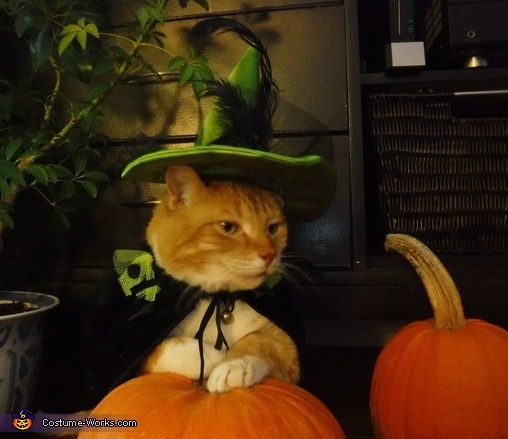 My cat Peanut dressed up as a wizard this Halloween. My mom has tons of leftover materials from quilting and making human clothing. We made a kitty hat with a matching cape. Peanut poses pretty for pictures because he knows he gets scooby-snacks.